In one month from today, Joe and I will be married for two whole years! I’ve got to say, this anniversary has really snuck up on us. At some point in the last year, we found our stride and really made efforts to get better at this whole married thing. So while last year’s anniversary felt like this big huge milestone that we worked so hard for, this year feels like a happy little day, a reason to celebrate and keep on moving forward. My dad came to Baltimore this weekend, and my dudes and I had a blast. 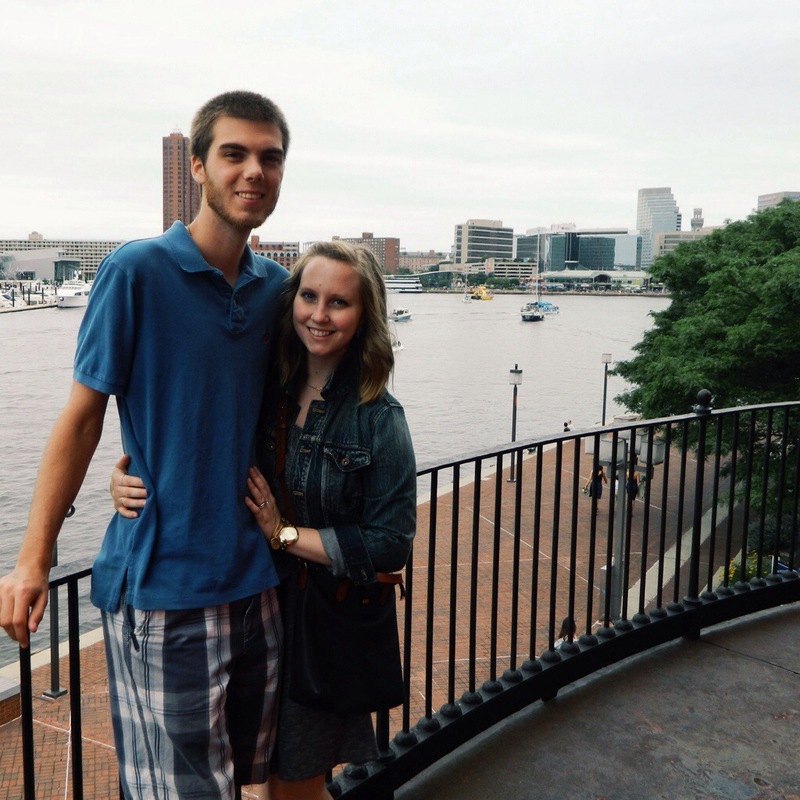 We ate good food, saw Baltimore in a new way (water taxi! it’s revolutionary, I tell you! ), and just enjoyed each other’s company. My heart positively soared, as it always does when family is in town (people I’m related to and love dearly in the same place as me? it’s the best feeling ever and happens so rarely, what with us all being so spread out). And then he had to make the trek back down south and I was just in a straight up funk all afternoon. I try to be good and to ‘bloom where I’m planted’ and all of that, but once a month in a while, I just need to mourn the fact that I can’t do life with every single person I care about. This desire that I have to gather up all of my people and feed them and keep them happy and together forever is pretty unreasonable in the first place, and to be honest, I might not even like or appreciate it that much if it were to happen. But sometimes I’m just sad that we don’t all get to be in one place. Or that the place I’m currently in isn’t South Carolina. It’s partly missing my people, and it’s partly missing what was my home for twenty-two years. So nostalgia and all of that. In the midst of all the crazy, there’s a quiet whisper telling me that I’m where I’m meant to be, that the opportunities and the people here aren’t to be missed, and that such good things are unfolding. And in the blank, waiting stage, I will rejoice. I will be glad in the unknown, in the layover. I will delight in my days and in the treasures I find along the way. I will not fear or worry about my future, because I am provided for and spoken for. The Lord will defend me, fight for me, fill me the way nothing else could. I can feel the energy and the potential, the possibility and the strength. My calling is coming, and I must meet it when it does. So prepare and trust in the now, because this waiting is temporary, and God’s grace is eternal.